Jurgen Klopp says Mohamed Salah&rsquo;s Liverpool success transcends football, breaking down religious and cultural barriers in a dangerous, global political climate. Is Manchester City’s season now in danger of imploding? Among the extraordinary images from the Etihad Stadium during Wednesday&rsquo;s Champions League quarter-final, perhaps the most revealing was the footage of Pep Guardiola filmed in the dying moments. 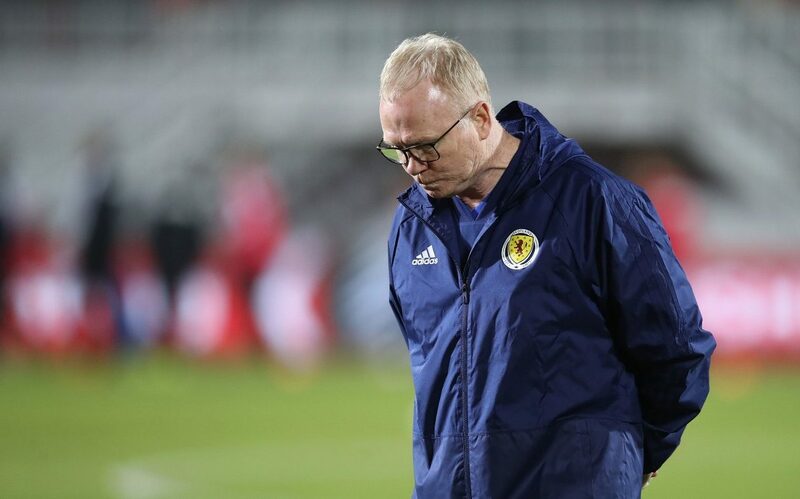 The Scottish FA have announced that Alex McLeish has been relieved of his duties as the manager of the national team. It has been just a few short weeks since Jordan Henderson plucked up the courage to talk to Jurgen Klopp about his position in this Liverpool team. &ldquo;I had 23 years as a player, won two European Cups, 52 England caps, managed in three cup finals. Martin Semmens, the Southampton vice chairman, is set to move into a wider day-to-day role at the club following the departure on Friday of Ralph Krueger following six years as chairman. Neil Warnock has been hit with three Football Association charges over his blistering attack on Premier League referee Craig Pawson following Cardiff's defeat to Chelsea a fortnight ago. Harry Kane is expected to be out for up to three months with his latest ankle injury. Crystal Palace goalkeeper Wayne Hennessey has been cleared of making an alleged racist gesture during a club meal, the Football Association has announced.